In a video about the famous last words of Jesus and Muhammad, David Wood suggests that we learn a lot about someone by pondering his dying words, especially if the person’s death is painful and agonizing. He’s a Christian apologist but makes an interesting point. Muhammad’s dying prayer was not a forgiveness petition like Jesus’, but a curse. He was forbidding his followers to build a mosque on his grave, and made his point by calling down Allah’s curse on Jews and Christians, who were known for doing this sort of thing. Note the irony: Islam’s second largest mosque is in fact built over Muhammad’s grave in Medina. So if Jews and Christians are under Allah’s curse for building places of worship and the graves of their prophets, then so are Muslims. Muhammad in effect cursed not only unbelievers, but Muslims themselves. For present purposes it doesn’t matter how historical the accounts are in the Christian and Islamic sources. What matters is that this is how Jesus and Muhammad are depicted, and it’s what many Christians and Muslims believe about their savior/prophet. Dying intentions speak volumes, and in these cases one is an act of extreme charity, the other a parting blow. I love the way RBL reviews come so after the fact. Philip Esler has reviewed Rafael Rodriguez’s work on Romans, which was published back in 2014. It’s a good excuse to revisit the book, which follows the Stowers school that Romans is addressed primarily to Gentiles, rather than (as I believe) a mixed audience of Jews and Gentiles. Why then does Romans sound so Jewish-oriented unlike the rest of Paul’s letters? Rodriguez’s solution is to view the interlocutor (conversation partner) of Rom 2:17 as a gentile proselyte to Judaism — in other words, as Rodriguez claims, someone of Gentile ethnicity but of Jewish religiosity, and who teaches Gentiles to become Jewish proselytes like himself. As Esler points out in his review, this allows Rodriguez to have his cake and eat it, for the person addressed in Rom 2:17 is both a Gentile and a Jew: “Paul still imagines a gentile in vv. 17 ff., only now this gentile has taken on the yoke of Torah — an individual of gentile origin who wants to call himself a Jew”. But how is this person a transgressor of the Torah, even to the point that his circumcision breaks the law? Rodriguez’s answer is that the circumcision wasn’t performed on the eighth day as required by Lev. 12:3. Esler asks for “some evidence for the idea that a law requiring adult Israelites to circumcise their sons on the eighth day could be, or ever was, invoked as a bar, or indeed have any relevance, to adult non-Israelites wishing to join Israel and willing to be circumcised to do so.” Indeed, I can’t imagine that being an obstacle at all. Not only were there probably Jewish sons circumcised on days other than the eighth, Abraham himself (Paul’s hero) wasn’t understood to be in the Old Testament or intertestamental literature. Esler also warns about false distinctions between “ethnic” and “religious” Jews, saying that “becoming a Jew/Judean through circumcision and adoption of Jewish/Judean customs meant adoption of Jewish/Judean ethnic identity, not the adoption of a separable and separate Jewish religious identity, which was nonexistent in the first century.” Then there are the Jewish addresses of Rom 16, which Rodriguez (following Stowers) sees as third-party greetings rather than greetings to the actual recipients of the letter — which I agree with Esler asks a bit much. The equal attention paid to both Gentile and Jewish factions in Rome is then repeated in Rom 6:1-7:25, this time from the standpoint of baptism and death. Again, both groups are seen to be on the same footing but in different ways. And “dying to the law” in Rom 7 is run parallel to the Eden story in Genesis. Rodriguez’s view that Rom 7:9 — “I once lived apart from the law” — refers to a Gentile proselyte is too superficial for Paul’s overarching purpose. For reasons that escape me, many persist in denying the focus of the Genesis story. Esler himself is guilty of this, but to me it’s rather clear that Adam looms over the section of Rom 5-8, and comes to particular focus in the parallels of Rom 7:7-13, where “alive” and newly created, he is placed in Eden (Gen. 2:7-9) and “commanded” by God not to eat of the tree of life (Gen. 2:16-17), whereafter the serpent “seizes opportunity” to further its own ends (Gen. 3:1-5) and Eve complains that she was “deceived” (Gen. 3:13). God then kills humanity, punishing it with mortality (Gen. 3:19,22-23). As much as I’ve tried in the past, I can’t escape the conclusion that Paul has deliberately assumed the role of Adam in order to “prove” that life under the Torah replicates Adam/Eve’s failure under the commandment in Eden. His argument is an exegetical one, in effect urging that the traps and snares of the Torah trace back to the horror of the fall, which in turn fulfills his ambitious desire to prove that Jews are no better under the law (7:1-25), than Gentiles are under ungodliness (6:16-23), each requiring the dramatic rescue operation of 8:1-17. 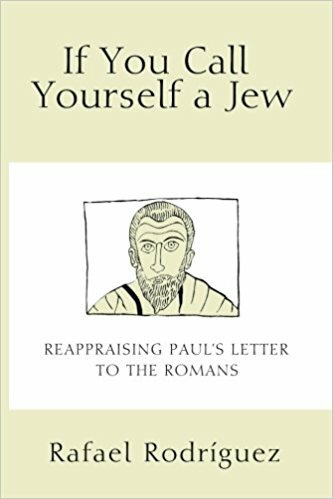 At the very least, Esler’s review is good cause to revisit Rodriguez’s stimulating explanation as to why Paul’s interlocutor “calls himself a Jew”. I have to admit it’s one of the better efforts from the Stowers camp. 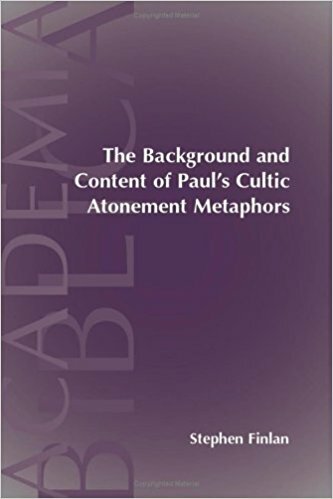 If you need something to read for Good Friday/Easter, make it Stephen Finlan’s The Background and Content of Paul’s Cultic Atonement Metaphors. It’s a detailed analysis of how Paul thought Christ’s death had saving power, and while no single answer emerges, at least one can be safely excluded: the Protestant idea of penal substitution. The idea that “Christ stands in for the sinner” is absent in Paul’s letters, despite his rich variety of death metaphors. There are four metaphors, as Finlan shows: (1) martyrdom, (2) sacrifice, (3) scapegoat, and (4) ransom payment. For Paul, Christ was a martyr who also functioned as a sacrificial paschal lamb, mercy seat of faith, sin-bearer, and redeemer all in one. 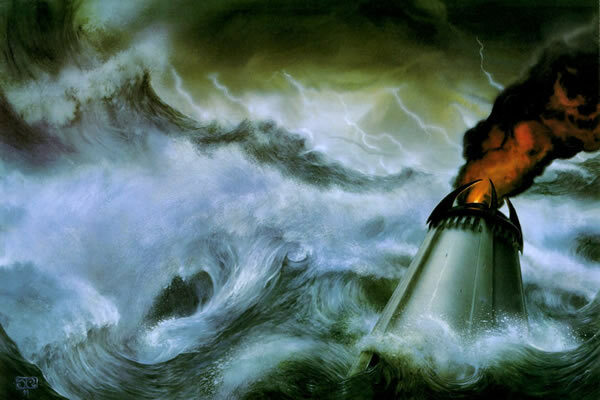 The metaphors are different and even at odds with each other, so let’s go through them. I call it his favorite because he uses it most. It is best explained in Jeffrey Gibson’s essay, “Paul’s Dying Formula”, cited by Finlan, which argues that Paul inverted the “noble death” theme found in Greek literature (see pp 196-197). “X dies for Y” referred to the warrior ideal by which heroes die for friends, family, city, or religious ideas, though never for enemies. So when Paul says that “Christ died for sinners”, and for his enemies at that (and by submitting to dishonor on the cross rather than going down in combat), he was invoking martyrdom and giving it a brutal twist. Christ died for the benefit of sinners and ungodly people and he went down in shame. The point is that “Christ died for us” doesn’t refer to sacrifice or atonement (far less penal substitution). It refers to martyrdom. So how does martyrdom benefit the believer? What does Christ’s death “do” for the sinner, if not atone? Surprisingly, Finlan doesn’t mention David Seeley’s The Noble Death, which deals with the subject at some length. Like Gibson, Seeley thinks Paul’s view is closest to that of the Maccabean martyrs and Greco-Roman philosophers. In IV Maccabees the Judean heroes defeat tyranny through defiance and obedience to the Torah, dying for it (IV Macc 1:11; 18:4). In a Greco-Roman context, a philosopher like Socrates dies in prison in order to free humanity from the fear of death and imprisonment (Seneca, Ad Lucilium Epistulae Morales 24:4), an example followed by Cato who kills himself rather than be captured by Caesar. The deaths of the martyrs and philosophers benefit others who follow their example and die virtuously. And what is the benefit to following Christ’s example? According to Paul, believers die with him at baptism, reenacting his death by destroying the sinful body and gaining release from enslavement to sin (Rom 6:1-11; 8:10). To be sure, Christians have only begun to die — and they’re not literally crucified like Jesus — but the “mimetic pattern”, says Seeley, is exactly the same. Just as copying a martyr gains victory over a tyrant, or copying a philosopher gains victory over fortune, copying Christ gains victory over sin and death. “Christ died for us” means that one can achieve the same victory by dying as Christ did. It does not mean that Christ died as a sacrifice of atonement, or ransom payment… though Paul does happen to believe that Christ’s death functioned in those ways too. Seeley notes that the idea of sacrifice sometimes creeps in to martyrdom theology. The blood of the Maccabean martyrs served as “an atoning sacrifice” (IV Macc. 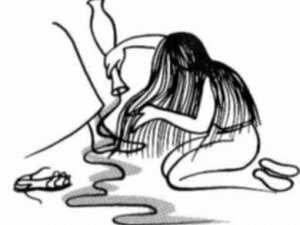 17:21-22); the blood of Thrasea’s suicide was sprinkled on the ground as a libation to the gods (Tacitus, Annals 16:35); the blood of Christ was put forward in atonement as the messiah became a new “mercy seat of faith” (Rom 3:25). But Seeley thinks these sacrificial metaphors are subsidiary, supplementing the far more important martyrdom theme. This is the strength of Finlan’s approach, as it takes all of Paul’s ideas seriously, and integrates them without glossing or distorting ideas currently out of favor. Here are the texts pertaining to each metaphor. Paul believed all of this, and it was a bold fusion on his part. Finlan devotes an entire chapter to distinguishing sacrifices from scapegoats, showing why their fusion in the Christian tradition is radical. Scapegoats were not sacrifices but rather expulsion victims, and opposite in every way. Sacrifices were pure and offered reverently to God; scapegoats impure and driven out harshly to a wilderness demon. The former were spotless and their blood was a cleansing agent; the latter were sin carriers, vile and corrupt (see pp 81-93). To portray an individual as a sacrifice and scapegoat at the same time, as Paul did, would have been an oxymoron. Putting all four together makes this game of metaphors schizophrenic in the extreme. But how did sacrifice, whether traditional Jewish or Christian, effect atonement? It served a propitiatory function, appeasing an angry God as a “food bribe”. The idea of propitiatory substitution was different from the later (Protestant) idea of penal substitution. In penal substitution the sacrifice “stands in” to take the punishment of the offender, and that’s what most of us today associate with atonement. But propitiatory substitution involves a pure sinless offering, offered as payment to a sovereign deity in order to appease his anger and wrath. As the Torah became increasingly important, sacrifice also took on a purifying/expiatory role, the cleansing of impurity and sin. Lev 17:11 explains: “For the life of the flesh is in the blood; and I have given it to you for making atonement for your lives on the altar; for, as life, it is the blood that makes atonement.” (Lev 17:11) When harnessed properly, the life-force that resides within blood somehow reverses the anti-life of sin and pollution. That’s the sacrifice passage of Romans, anyway. What about the sacrifice passages of I Corinthians (5:7 and 11:25), where Christ is depicted not as a mercy seat (for the Day of Atonement), but as a paschal lamb (for Passover)? Passover sacrifice did not atone/forgive; it protected. Yahweh “passed over” those so protected when he came in judgment. The ancient tradition of Israelites smearing lamb blood on the doors of their homes was so that God would deliver his people from oppressors. In the eucharist tradition (I Cor 5:7, I Cor 11:25), the flesh and blood of the passover lamb was replaced by Jesus’ own “body and blood”, in the bread and wine, which was likewise intended to protect (not propitiate or purify as in the rite of atonement) his followers from God’s fiery judgment against Jerusalem and its leaders. That’s a lot of ideas Paul makes room for, but for all the variety there’s not a hint of penal substitution. The only passage in the New Testament which possibly provides a basis for penal substitution is I Pet 2:24b, which owes to Isa 53:4-5, “by his wounds we are healed”. This may indicate that (for the writer of I Peter), Christ, like Israel’s servant, died in place of others. Aside from this one text, however, there is nothing in the NT pointing to Christ’s death as a penal substitute — certainly nothing in Paul. Paul values sacrifice on the metaphorical level, superseding without rejecting the temple cult. In saying that “God put forward Christ in a bloody death as a mercy seat of faith” (Rom 3:25), he claims that the crucified Christ has become for the world what the mercy seat was for Israel. Or in saying that Christ is the new paschal lamb (I Cor 5:7, I Cor 11:25), he claims that the savior’s blood protects believers against the wrath of God poured out on oppressors and the wicked. Jesus’ thoughts on the matter…? What would the historical Jesus have thought about all this? Did he have a martyr’s complex and brace himself (and his followers) for a “noble death” as he prepared to take on Jerusalem? Did he have even more radical ideas — cultic ideas which scholars are loathe to attribute to Paul, let alone him? I suspect that, at the very least, Jesus had a martyr’s complex, believing that his suffering and death were part of the tribulation period that preceded the apocalypse. He may also have attributed sacrificial (Mk 14:22-25/Mt 26:26-29) and/or ransom elements (Mk 10:45/Mt 20:28) to his death as reported in the gospels, but I suspect that he didn’t. Finlan’s book is the best I know of that does justice to Paul’s understanding of Christ’s death. We may have little use for “barbaric” ideas like cultic atonement and bloody sacrifice, but for better or worse they were part of his theology, integrated into a broader framework of martyrdom. The variety of metaphors makes Paul conflicted to say the least, but there you have it. Last week Gloucestershire Live published an article about an “Indiana Jones” biblical scholar who made a great discovery. Usually that’s a warning to count the spoons and brace for impact. But the scholar in question is Philip Esler — just about the last name you would associate with crackpot archaeology. So what is Babatha’s Orchard about? Babatha’s Orchard is exciting to read because it’s real. 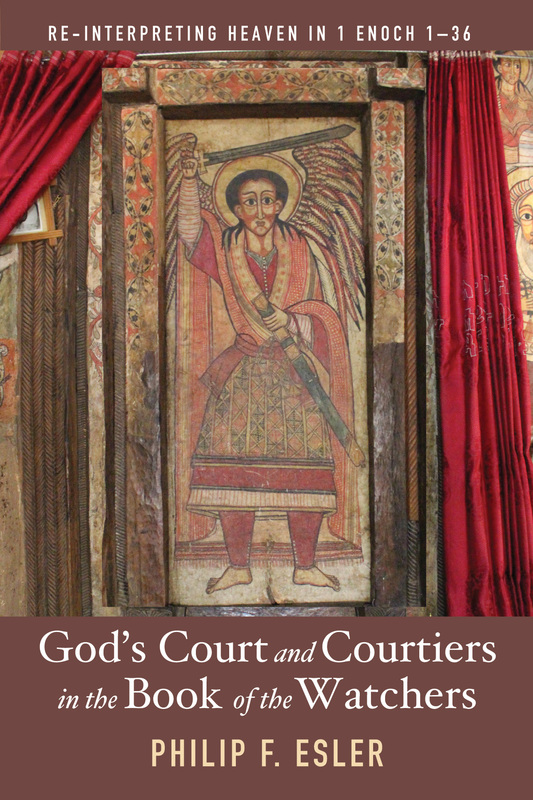 It offers a window onto everyday life in antiquity, unencumbered by sensationalism. That window is provided by the Babatha collection, discovered in 1961 by a team of archaeologists, which are the possessions of a second-century Jewish woman including sandals, balls of yarn, key-rings, knives, bowls, waterskins, and other items — and also a pouch containing 35 legal documents. These documents are dated between 94 and 132 AD, and consist of various contracts for purchase of property, loans, weddings, and the registration of land. Esler is concerned with the earliest four documents, Papyri Yadin 1-4, the first of which dates to 94, the other three to 99. P. Yadin 2 and 3 describe the purchase of a date-palm orchard, first by a Nabatean high-ranking official named Archelaus, second by a Judean (Jew) named Shim’on (the future father of Babatha) only a month later — but purchased both times from the same woman. Esler not only reconstructs what went on between P. Yadin 2 and 3, he also argues that P. Yadin 1 and 4 bear on the same issue. “No one seems to have asked,” says Esler, “why the first and fourth documents were found in the archive in the first place.” Why did Babatha, years later, keep copies of these legal documents? They presumably had some relevance to the orchard acquired by her father and should help make sense of that event. P. Yadin 1 describes a transaction in 94 AD that at first blush seems to have nothing to do with the orchard sale (and resale) in 99. Basically a Nabatean named Muqima borrowed money from his wife’s dowry to purchase a lease of property, and to share the investment risk enlisted a partner whose name was Abad-Amanu. What no one seems to have realized before Esler is that the Abad-Amanu of P. Yadi 1 is none other than the father of Archelaus, the buyer of the orchard in P. Yadin 2 — a link that proves of “critical importance in unlocking the mystery behind these documents” (p 111). The mystery is how Abi-adan (the woman who owned the orchard) sold the orchard to Archelaus (P. Yadin 2) and then only a month later sold it to Shim’on (P. Yadin 3). Scholars have suggested that Abi-adan annulled her agreement with Archelaus when Shim’on offered a better deal, but Esler refutes this, for there is no way Abi-adan could simply have reneged on her deal which gave Archelaus legal rights. Not to mention the extreme unlikelihood that a non-elite woman would act in such a capricious way towards a strategos (a government official charged with both civil and military duties, as Archelaus was) (p 140). No, it must have been that Archelaus himself backed out of the agreement, requesting that Abi-adan annul the contract and refund his money. But why? Esler spots the reason under our noses in P. Yadin 1 — and the reason for which that seemingly unrelated document is in the Babatha collection to begin with. The partner of that earlier transaction, Abad-Amanu, died soon after Archelaus bought the orchard in 99, and he was Archelaus’ father. At this point the woman (Amat-Isi) was still owed money under the loan agreement with her husband Muqima and Abad-Amanu. Esler argues that Nabatean law provided for universal succession (like the legal systems of Mesopotomia, Rome, and certain Judean provinces), which means that an heir (like Archelaus) received the entire estate of the deceased (Abad-Amanu), benefits and debt included. 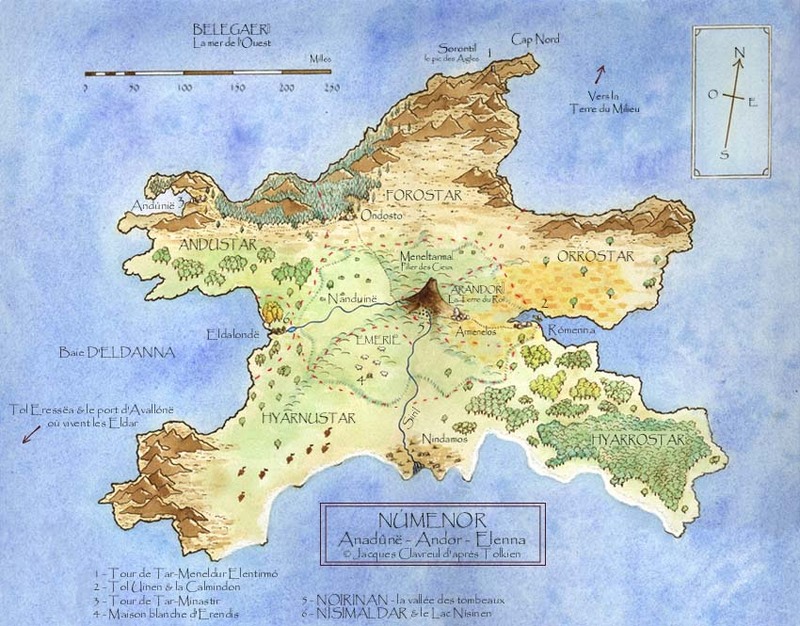 Amat-Isi would have been calling on Archelaus to pay Abad-Amanu’s debt, and his honor as a strategos was at stake. So he appealed to Abi-adan to rescind the bargain of P. Yadin 2. 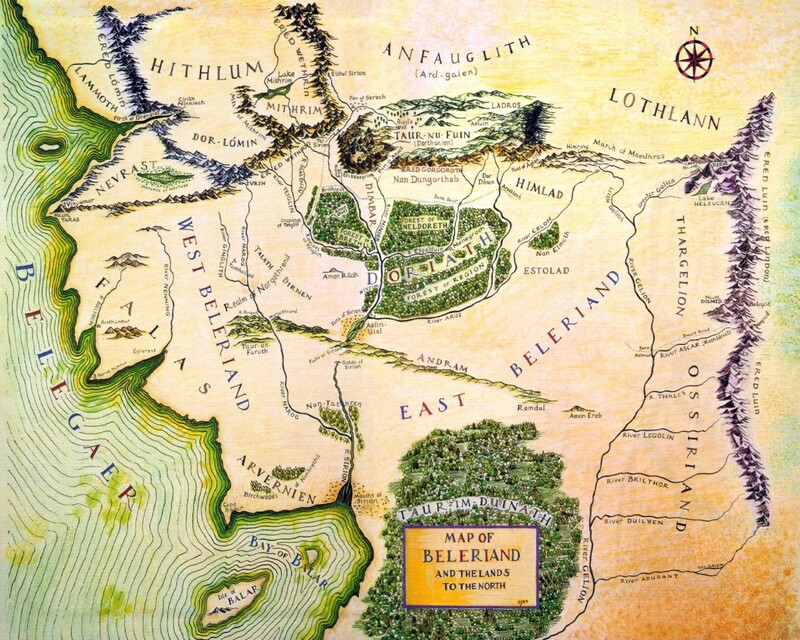 That turn of fate immensely benefited the Judean (Jewish) Shim’on, who was probably passed over the first go-around in favor of the strategos, and was now waiting in the wings to buy the orchard. That triggers the second mystery, the one of P. Yadin 4, which survives as a fragmentary document without any legible names, but which Esler believes to allow more restoration than scholars have realized. Through brilliant detective work he shows that P. Yadin 4 is a grant (a cross between a gift and a sale, or a transfer of property where the return wasn’t necessarily a purchase price), and indeed the very grant mentioned in P. Yadin 3. Shim’on wanted to buy a larger portion of the orchard than Archelaus did, and Abi-adan was apparently planning to acquire that extra piece of orchard from a certain “son of Lutay”, who would give it to her as a grant. In P. Yadin 4 we have exactly that: someone saying that he will grant an orchard to a female. More sleuthing on Esler’s part makes everything fall into place, as this “son of Lutay” emerges as the likely husband of Abi-adan. He acknowledges that he is debt to her in P. Yadin 4, and that he will reduce his debt by transferring the extra piece of orchard to her (which he was currently leasing to someone else, to expire in a few months). Esler points out that when men are indebted to women, it’s almost invariably the case of husbands indebted to their wives for having drawn on the wife’s dowry. Also, back in P. Yadin 3, Abi-adan and the son of Lutay are referred to together solely by their first names, which is a familiar manner of designation suggesting a married pair. 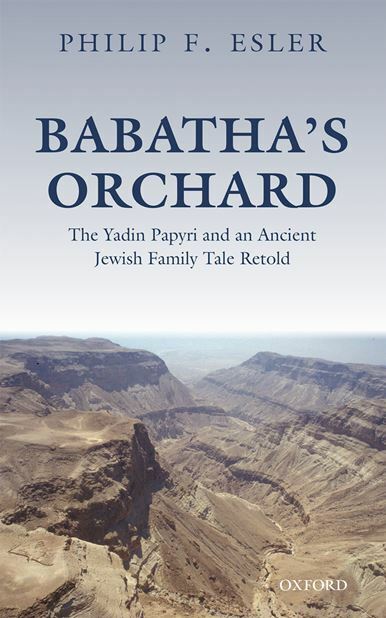 Like any Philip Esler book, Babatha’s Orchard is prefaced by chapters of background history and cultural cues. I hadn’t realized how egalitarian the Nabateans were compared to their contemporaries, and that the ethic apparently pervaded all the way up to the kingship. Esler cites Strabo who describes the Nabatean king as a “man of the people” who served them at banquets, and who accounted for himself at popular assemblies where his means and methods were scrutinized. That’s a humble model of kingship hard to find elsewhere in the ancient Mediterranean. Esler accounts for this in terms of the nomadic mindset. From their earliest days (in the fourth century BC) the Nabateans jealously guarded their independence and freedom. They were able to take refuge in the desert when forces invaded, and were hard for enemies to overcome because of secret wells they could access. Fredrik Barth has explained how nomadic household leaders had a freedom that was incompatible with the hierarchical structures of agrarian societies. Even after the emergence of a sedentary lifestyle and the kingship (in the second century BC), the Nabateans retained a nomadic dimension to their existence right up into the second century AD. The king and the elites were in sync with this. Not exactly how things worked in Judea and Galilee. 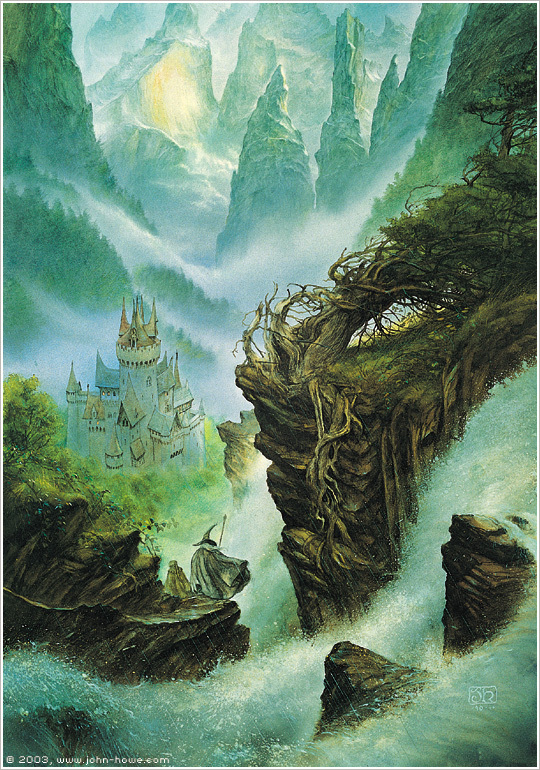 If I could write a book like Babatha’s Orchard, I’d be very proud. Rarely can scholars piece together missing and obscured information so compellingly, and in a way that allows us to read it as a story. Esler writes that story in the final chapter — how a Jew living in Nabatea bought a date-palm orchard from a woman after a high-ranking official failed to do so — bringing to life a complex web of events, personal motives, and social relations. It’s a story one could easily get a novel from. 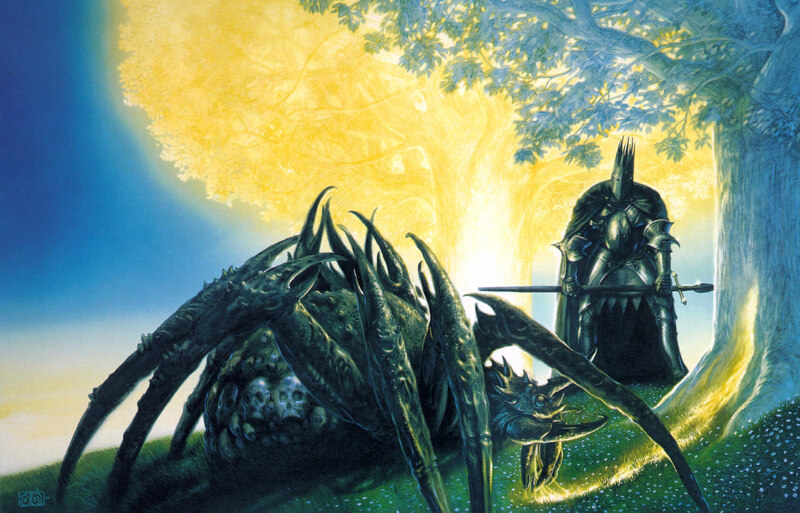 The book is also impressive as a study for its own sake and not as a means to an end. “I am not concerned,” says Esler, “to interpret New Testament texts against a social context known from the Nabatean legal papyri. Rather, I am seeking to understand better that context itself.” That’s fresh air, and the kind of thing I’d love to see more from our New Testament scholars. The post-script to Babatha’s story is sad. 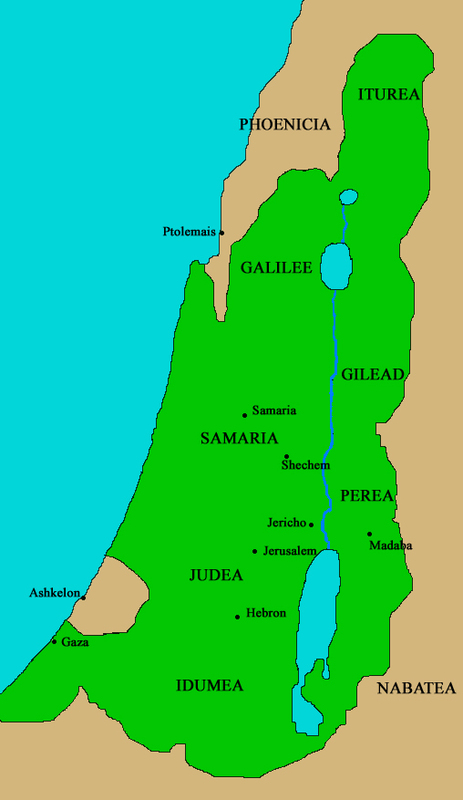 In the Jewish revolt of 135 AD, she was captured by the Romans and in all likelihood killed or enslaved. But not before hiding her collection in a cave by the Dead Sea, to await discovery in 1961. Esler’s book honors her in the best possible way. Is Jesus’ saying a concession to the fact of poverty, or a critique of its continuing presence? Ray Vaillancourt argues the latter in his recent blogpost, and I think he’s probably right. The relevant story is that of Mk 14:3-9/Mt 26:6-13/Jn 12:1-11, in which Jesus retorts, “The poor you will always have with you”, to his disciples, who are furious over a woman’s extravagant waste. The story actually seems to suggest that the disciples were concerned about the poor on that occasion, and not Jesus. The message would then be that followers of Jesus should resign themselves to the eternal reality of poverty — as long as Christians do “something nice for Jesus”, their consciences are clean. But that returns us to the question: was this in fact Jesus’ understanding of Deuteronomy 15, or was he, as our modern Republicans insist, spinning Deuteronomy 15 in a new lais·sez-faire way — saying in effect, “The poor you will always have, so just live with it and don’t worry.” The Republicans have a case, because if anything it’s the disciples who seem to be reinforcing Deuteronomy 15, not Jesus, who is scolding them for sticking up for the poor. The problem lies in their sincerity. Ray cites Malina and Rohrbaugh, who note that a female with free access to a dinner attended by males would be a woman of questionable reputation, and the resentful disciples are simply using poverty rhetoric to shame this woman. They’re more angry at her presumption than her wastefulness. By defending her Jesus is fending off their hypocrisy more than anything else. (Also, in the context of the larger gospel narrative, the oil she’s using isn’t a self-indulgent meal anointing, but a preparation for Jesus’ burial — a devotional act which resounds to the messiah’s honor.) In John’s version of the story, the hypocrisy is made explicit with the character of Judas, who defended the poor, “not because he cared about the poor but because he was a thief and held the money bag and used to steal the contributions”. In other words, in retorting “The poor you will always have with you,” Jesus brings Deuteronomy 15 into the spotlight in order to hold the disciples to their word. It’s meaningless to get indignant over injustices if you’re not committed to rectifying them, or if you’re just playing the social-justice warrior to cover for self-righteousness or prejudice. The disciples were doing one or the other or both, in over-zealously faulting a woman with good intentions. Of course, Republicans can always rely on the face-value reading of Jesus’ saying. They can claim that a new day had dawned, and Jesus dispensed with the debt provisions of Deuteronomy — just like Paul later did with the circumcision requirement of Genesis. But I think that’s a heavy lift, given that the gospel testimony is replete for activism on this point, not least in the way Jesus tells disciples to sell everything they have and give to the poor. People like Jesus and Paul were as likely to reinforce scripture as revise it. Paul revised Genesis 15/17 for the benefit of his pagan converts. Jesus reinforced Deuteronomy 15 for the welfare of the poor.